I really look forward to the days when either a friend (Michael K) recommends a band, or just a band themselves gets in contact, especially if it’s a gem of a release. 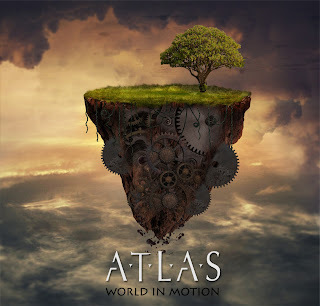 In this instance it’s a UK melodic rock band from Manchester called Atlas. Just don’t confuse them with the other Atlas who is a metal Bengali band. 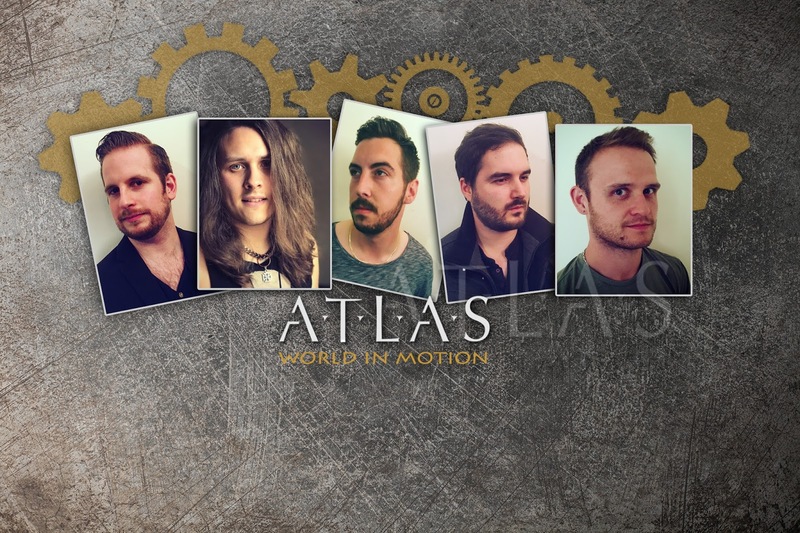 Atlas (UK) consists of Craig Wells (Vocals), Howie Little (Guitars), John Moss (Guitars), James Thorley (Keys/Percussion) and Christian Redfearn (Bass). ‘World In Motion’ is a four track EP that I’ve been waiting to hear since I heard a song of theirs a couple of months back. On early inspection vocalist Craig Wells is a mix of Tony Mills and Vince Neil. Guitarist John Moss has recently been added and his guitar work is exemplary. Just check out the Atlas FB page, which shows John jamming along to a couple of Work of Art tracks which, is no bad thing in my opinion. Opening track ‘Change Of Heart’ sounds as if Tony Mills is fronting Vega. There’s some definite Vega-esque ‘Whoa’s’ and keyboard riffage along with some excellent guitar work from both Little and Moss. ‘Alexandria’ is the weakest of the four. 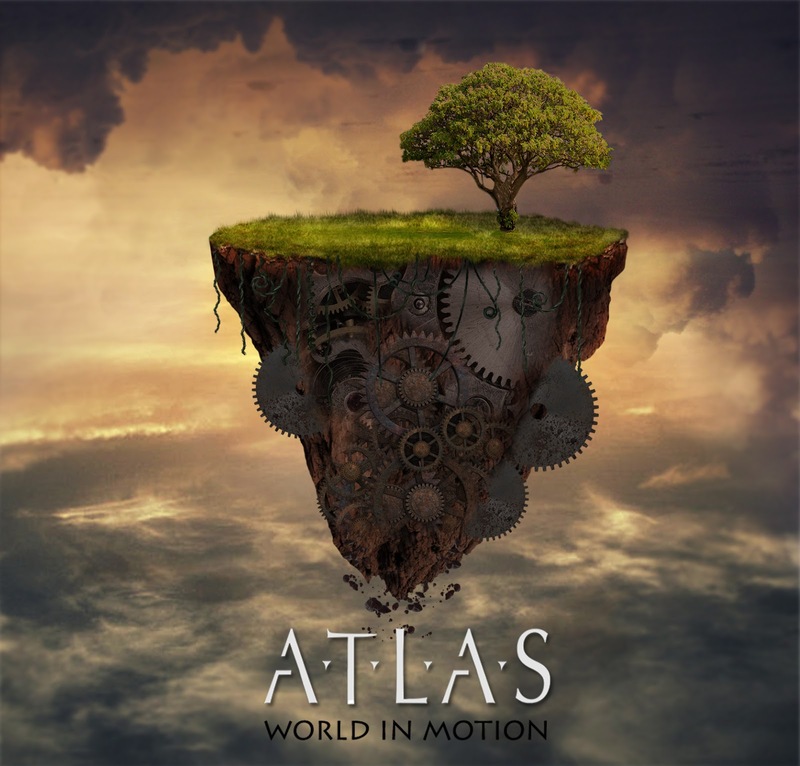 It’s not bad, but Atlas has some good stuff going on for the rest of the EP. The pitch is high on the vocals for the early part, but settles into place once the chorus comes into play. The stand out tracks by a country mile is the latter two. First is the rather excellent ‘Cross The Line’ a true melodic rock song in a 80s influenced style, everything about it is good. (Bloody Good!) It brings in influences from Survivor, and sees Moss trading riffs with James Thorley’s keyboards. Exceeding it for brilliance is ‘Lost In The Moment’. There’s a lot more going on with this track, its more in line with something on the lighter side that Dream Theater would do, it ranges from complex, to acoustic and then technical, before finishing with a more West Coast vibe, this my dear reader is a damn good song. If the first two songs were on a par with the last two, then Atlas would have an absolute pearler on their hands. As it stands its comfortably good. This is a very promising EP. The guitar work from John Moss is particularly of note, but when it is set amongst the mix of the other guys its taken up another notch as what could be some humdrum songs by others is given a kick up the arse and you just have to take notice. 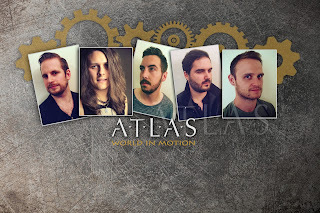 I hope that some bands touring the UK (especially those from Sweden) would take Atlas under their wing and get them out to a decent audience. Also HRH, Rockingham SOS and JSY could do these guys a favour and get them on their bills.